Hello people of the internet! Welcome to day two of Blogtober. Where I'm just going to talk about my September favourites for a while and then get back to enjoying October. I've had a weird and wonderful month. And that comes with a lot of favourites. But, today I'm just going to share four little things that made September great for me! Pumpkin Spice Lattes - Let's get this super basic favourite out of the way. I love, love, love a good PSL. And, they have made me feel so autumnal and cosy. I'm looking forward to drinking the exclusively throughout October! 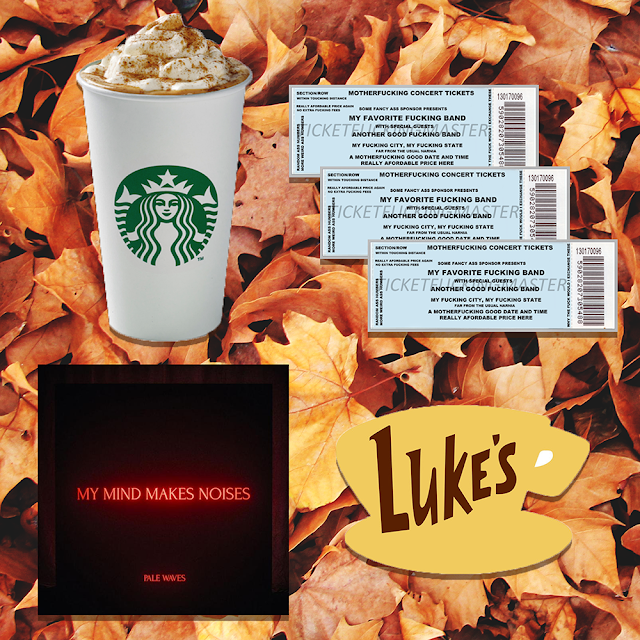 Pale Waves " My Mind Makes Noises" - I've been a pretty big fan of Pale Waves for a while now. Getting to listen to their debut album has definitely been one of my highlights of September. I've always adored their retro sound but the album is even more 80's and I love it. I'm going to see them on the 6th too! So I'm going to be listening to the album nonstop this week! Getting Panic! Tickets - So technically I got these on the last day of August. But, that is so not the point. If you guys didn't know - Panic! At The Disco is my favourite band. Living in Ireland means I haven't been able to see them live in nearly 5 years now. Two of my friends decided we were going to go abroad to see them. I was entrusted with the money and I had to try and snag tickets when they went on sale. Our first pick was London. And, due to some bug on the site, I couldn't get them. So, we somehow ended up with tickets for Paris! And we booked our flights and accommodation this month. I'm so excited. I've only been to Paris once. I cannot wait to go with my friends to see my favourite band! Gilmore Girls - For some weird reason I decided to start rewatching Gilmore Girls from the beginning. I had never watched the show before 2016. I was determined to watch the whole thing and the revival. I did that and like most people, I was totally disappointed in the revival. Part of me felt like I wasted my time getting invested in the show. But, the other day I randomly put on the pilot episode and I've been sucked into Stars Hallow all over again. 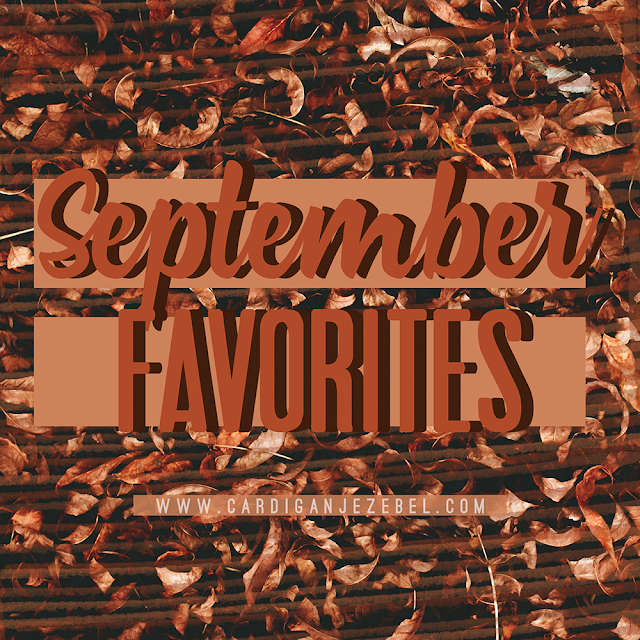 What were your favourites for September? I watched Gilmore Girls when I was younger but I don't remember it as well as I should! lol. It's definitely on my binge watch list! I'm happy for all the pumpkin stuff coming back. I'm more of a Dunkin pumpkin girl, but I do enjoy the Starbucks Pumpkin lattes! I love Pale Waves!! Their "Television Romance" song is my fave! I'll have to check out their album! Have an awesome time at the Panic Concert!! I've heard they are pretty amazing in concert! So jealous of your PATD tickets, I'd kill to see them live!